One of the important room in a house is the bathroom. Nowadays, bathroom is not only to clean yourself, but also decorated to match the color theme of the house. The vintage bathroom vanities are currently in trend, so there are lots of new styles that return to the old ages. Vintage vanities not only give the impression of elegance, soft and antique, but also provide special ambience that different from other styles. Vintage bathroom vanities can come from various eras, depends on your own preferences. The most common vanities that are categorized as antique furnitures, have wood materials or accent, such as frames, surfaces and others. If you have vanities that you want to make it look antique, you can learn how to make them look antique and old fashioned. It does not require expensive tools and the steps are so simple. How To Get The Antique Look For Bathroom Vanity? If you have the vanities that you want, you can simply take out the vanity`s doors and racks. Wash it with warm water mixed with detergent or cleaning liquid. Keep in mind to not use the water too much as the excessive water may damage the cabinet. When you are done, wipe the vanity with clean and dry cloth. 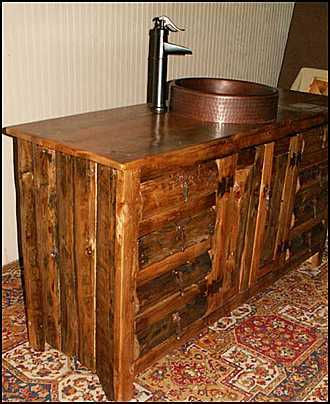 There are two ways to get the antique look for vintage bathroom vanities, with stain or paint. Both ways are good in results, however keep in mind to check which one is suitable with your styles and overall theme in your house. First, you should sanding the vanity properly, including the doors and racks. Remove any remaining sawdust after sanding process. Apply the stain or paint on the vanity`s doors and the base area with your preferred colors. To achieve the expected colors, you can apply two or three layers for finishing touch. Keep in mind to let each layer dried properly before you add the next one. You can apply thick layers so the antique feeling will feel much alive and have professional finishing. Once all the paints dried, you can apply the stain colors that will show the antiqued appearance. In the areas where it will be used as storage, cover them with sand papers, so it would be smooth, neat and safe to use. Make sure the stains or paints are applied evenly all over the vanity. With some remaining stains, it will look old fashioned and has been worn for years. Once all of the process is done, dried it properly under the sun light to remove the remaining smells. Where To Purchase Vintage Vanities? If you want to avoid the hassles, you can simply purchase the vintage bathroom vanities that are available in the market. 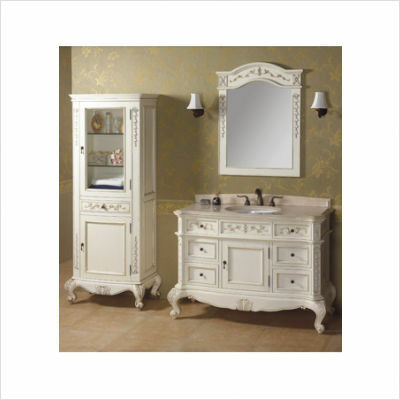 You can purchase the authentic vintage vanities, otherwise you can find lots of variety from the household showrooms. Make sure you check on the design and size you want in advance, so you can easily find the one suitable with your bathroom. 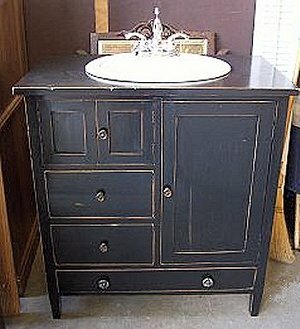 For used antique vanities, you can find from personal sale or flea market with affordable price. However you might need further improvements before you install it in your bathroom. Meanwhile the new but has authentic antique looks, you can check on your nearest furnitures showrooms. Thus, having vintage bathroom vanities are not a hard task to do nowadays. Детальное описание Igor Mazepa на сайте.